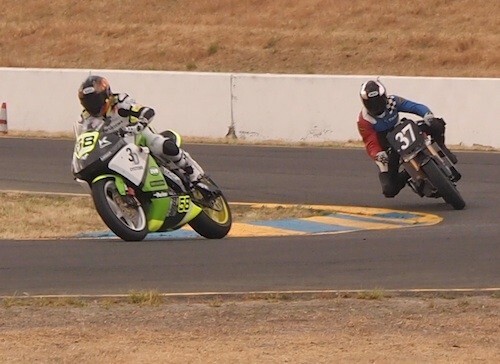 Brammo dominated the A123 Infineon round of the TTXGP North American Championship series for electric motorcycles this weekend in Sonoma, California. Not only did Brammo win both races, it also established a new lap record at the first ever AMA and FIM North American Union-endorsed TTXGP race. With AMA Champion rider Steve Atlas astride the Empulse RR motorcycle, Brammo consistently scored a higher average lap speed (fastest lap 1:55.150) than last year's winner of the TTXGP North American Infineon race, ZeroAgni. and posting faster times for longer, Brammo fired its opening volley in the 2011 season with an outstanding demonstration of its technology, experience and talent. The results this weekend make it clear that Brammo truly is leading electric vehicle innovation with its Brammo Power battery pack and vehicle management system. Brian Wismann, Director of Product Development for Brammo, said; "This weekend was a great result for Brammo and it feels good to reap the benefits of many months of hard work and overcoming development challenges in a very public way. We've been convinced about the performance potential of this package and with the help of some great partners and a very talented rider, we were able to prove that potential on the track this weekend. We're looking forward to the chance to pit the Empulse RR against the best efforts from the likes of Mission, Lightning, and Motoczysz when their bikes are ready." Steve Atlas the Brammo Empulse RR rider stated "I had a blast on the Empulse RR this weekend and I'm stoked we were able to set the track record for these bikes. I think we're just at the start of this technology and the Brammo boys are doing a great job moving the sport on to higher levels of performance."